Perfect for anyone who carries many keys all day long. 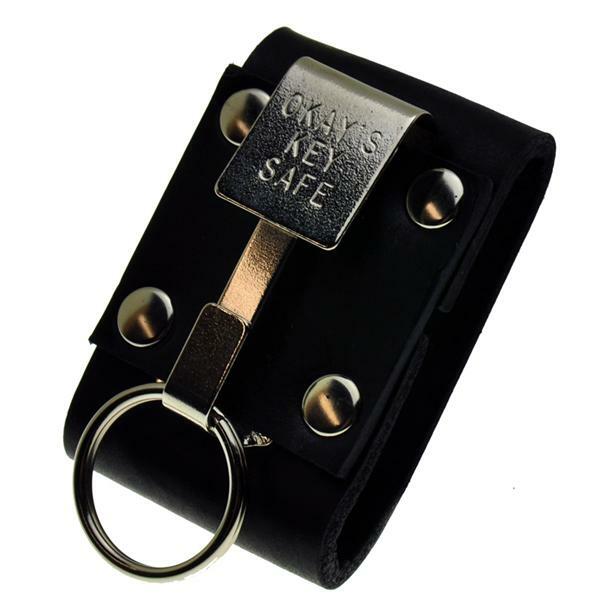 The ULTIMATE KEY KEEPER is hand made in the USA using top grain dyed leather and a nickel-plated OKAY’S KEY SAFE. It was designed to fit most duty belts. The KEY KEEPER has been popular with correctional workers at federal prisons. Workers say that they like the convenience of keeping their key chains and chits all together, ready to slide on or off their belt as one unit.